The continual rise of allergies in cities around the world is frightening for warehouse managers. 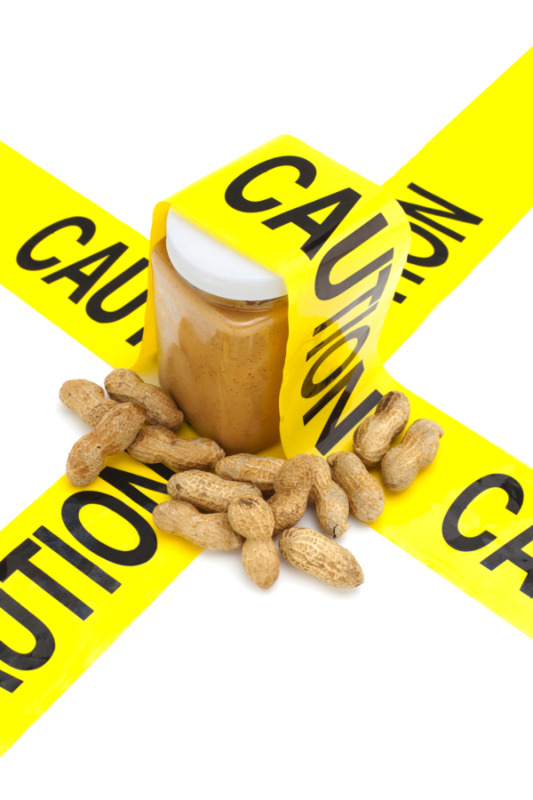 There is increasing vigilance in protecting consumers from allergic reactions. Adhering to these guidelines can prevent costly product recalls and potentially food allergy law suits. Indeed hospital admissions for severe allergic reactions have doubled in the last decade across Australia, the USA and the UK. In fact Australia has one of the highest allergy prevalence rates in the world, with up to 25% of Australians believing they have some sort of food intolerance. The high risk associated with allergen contaminated products means that there is a constant stream of companies recalling products with infringements. Here are some recent examples of recalled products due to allergen contamination or mis-labeling. 6th December 2013: Sakata Rice Snacks Australia Pty Ltd – Sakata Paws Original 6 Pack Multipack: This product was recalled due to the presence of the undeclared allergen: milk. 29th November 2013: Aldi – Brannan’s Butchery Thai Style Chicken Breast Kebabs: This product was recalled due to the presence of the allergens soy and sulphite. These are notable recent recalls as the products were available nationwide. Often these recalls are due to mis-labeling but they can also be due to the late discovery of allergen contamination in the product. Recalls are extremely costly procedures as well as being damaging to reputation and customer loyalty, this blog aims to detail methods you can employ to avoid them. So what does this mean for warehouses and those involved in the storage of food products? There is an increased need for more stringent policies around food production and storage areas. However, whether you are storing any products containing the big 8 or not, you still need to ensure you are enforcing strict food contamination policies in your warehouse as there are many more allergens to consider. It is best to ensure a policy of allergen contamination avoidance for all products regardless of whether your storage involves any of the big eight. Cross contact between your products, and ultimately transferal of allergens, can happen at all stages of the food supply chain. Here is a short list of things in your supply chain that may cause contamination. Many of these potential contamination situations are out of the warehouse managers’ control but it is important to understand that products can be contaminated at any stage of the food supply chain. You should ensure that your part in the food distribution process employs a contamination avoidance policy that is upheld for all products at all times. Your warehouse should develop, document and implement strict procedures for controlling allergens in your storage facilities. Allergens must be segregated from non-allergens. You should also have storage racks or areas designated for allergen storage clearly labeled. If you are storing allergens and non-allergens on the same racks, the allergen containing materials should be on the lowest rack. Things such as peanuts in mesh bags or eggs in cartons can provide large risks for contamination by falling on items below. Following such procedures should restrict top down contamination. You should also attempt to never store two different allergens on the same set of racks. Consider everything involved in the storage of your product because even the little things such as the corn starch used in packaging can cause an allergen contamination risk. Warehouse personnel should be trained in moving allergens from loading docks to the dedicated storage areas. It is also essential that your team are aware of the urgency of cleaning spills immediately and thoroughly. Allergens can easily be spread throughout the warehouse on the wheels of forklifts, trucks or even the shoes of workers. Some warehouse managers even require their team to wear different colours depending on what allergen they are working with. While this is expensive it ensures that there is no cross contamination from clothing. Basic education on allergens and food safety would also help in providing the underlying reasons for your allergen avoidance procedures. Having dedicated equipment to use across different allergen groups is a strategy many storage and production facilities employ. This is beneficial because it means you do not need a rigorous cleaning procedure each time you change product. If you cannot justify having dedicated equipment try instead to do your runs on each product in the largest batches possible. This will reduce the number of times you need to heavily clean and sterilise your equipment. Positive Pressure can be most useful when you have product that is exposed to the air such as particles or grains. By creating positive pressure (having more air entering the controlled zone than exiting) in your allergen free zone you can greatly decrease the risk of contamination from airborne particulates. This protects your product from cross contact but also foreign matter. If you need open doors you can still maintain positive pressure by using products such as air curtains. Air curtains will add a further seal to your contained zone against foreign particles and insects. Supplementary to this you should also consider having dedicated extraction fans and ventilation for any large quantities of allergenic products. 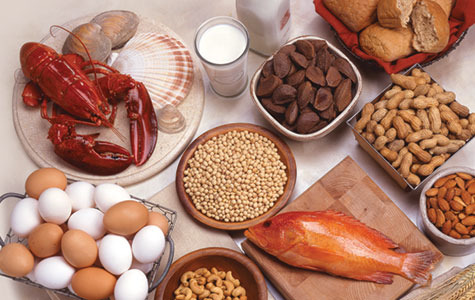 Consider having dedicated zones for allergen containing products. With doors becoming increasingly rapid, it is possible to have areas sealed from each other for all but the few seconds it takes for a person to pass through the door. 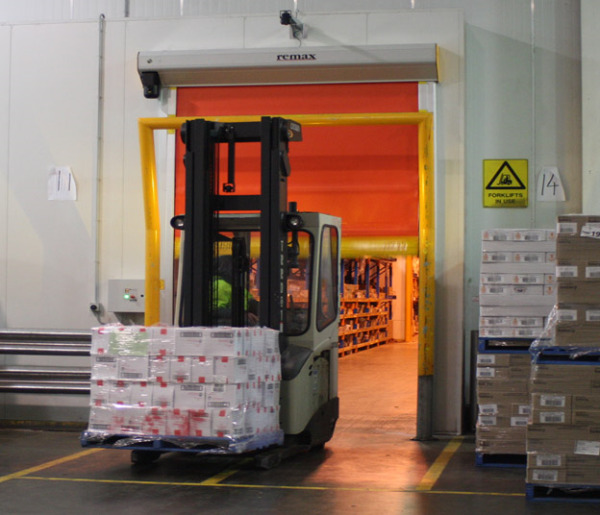 Advances in rapid roll door technology also incorporate self-repairing features, so, in the event of collision, the door can be fixed in the minimum time possible, ensuring that your warehouse maintains its allergen barriers. Hopefully this blog helped you think about whether your warehouse is meeting requirements for an allergen safe facility. If you would like to read more about preventing food processing contamination in your building or facilities please click here. Or if you would like a more comprehensive guide to contamination prevention in food manufacturing please click on the link below to download our free ebook.